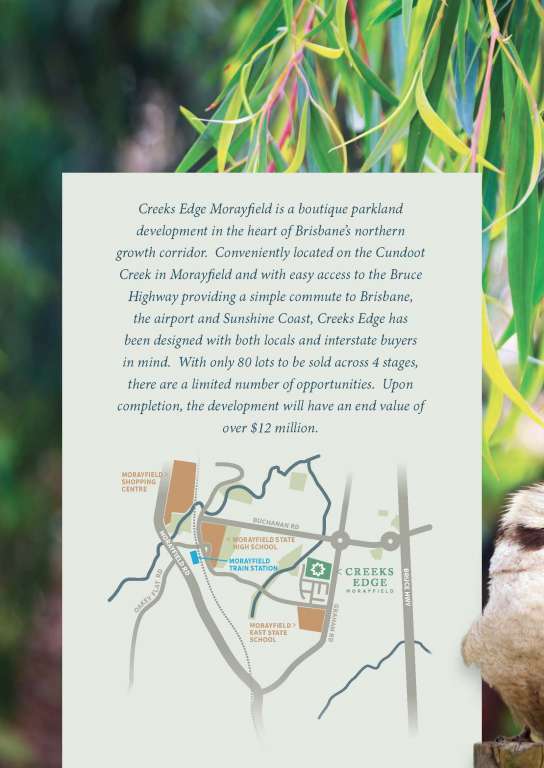 CREEKS EDGE MORAYFIELD An opportunity awaits A boutique parkland development situated in the heart of Brisbane’s northern growth corridor. 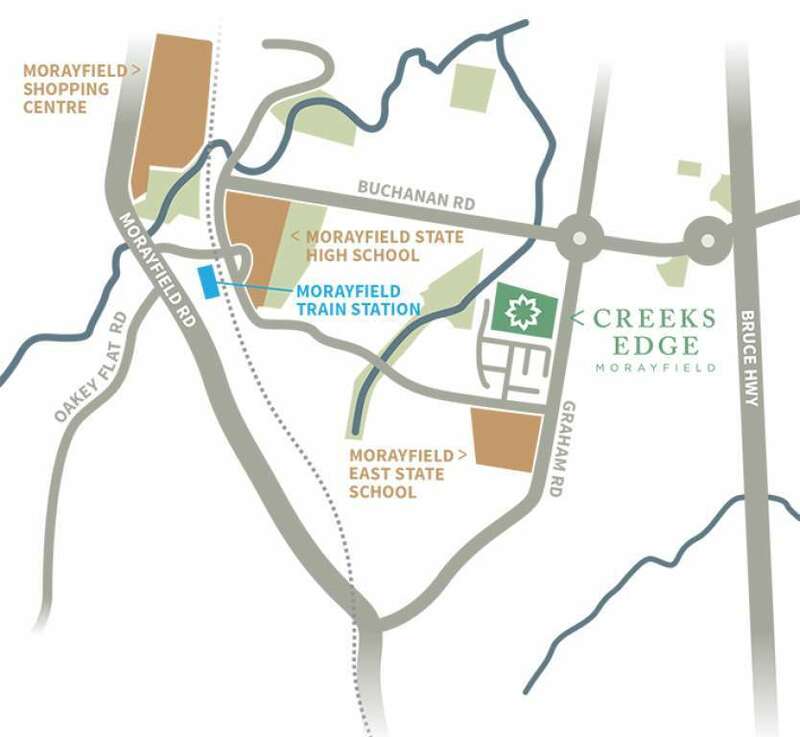 Conveniently located on the Cundoot Creek in Morayfield and with easy access to the Bruce Highway providing a simple commute to Brisbane, the airport and Sunshine Coast, Creeks Edge has been designed with both locals and interstate buyers in mind. 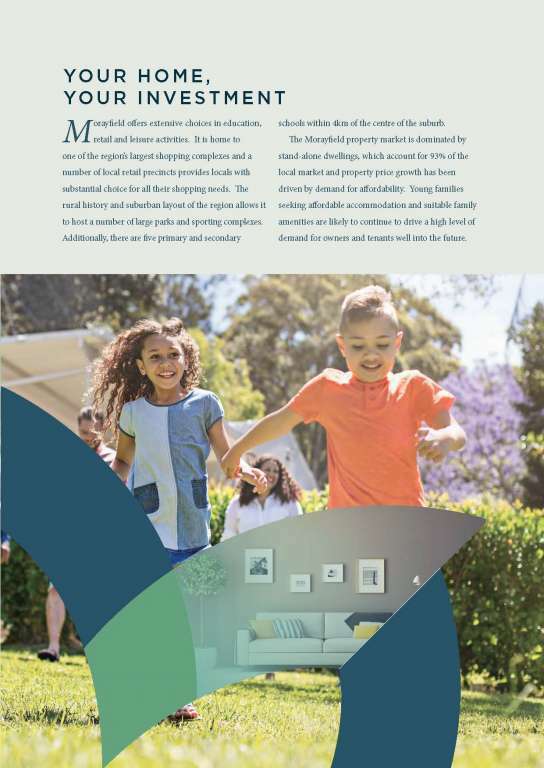 Creeks Edge offers a limited release of premium quality flat lots ranging in size from 300m2 to 687m2 close to the Cundoot Creek, parks and amenities that are central to Morayfield. 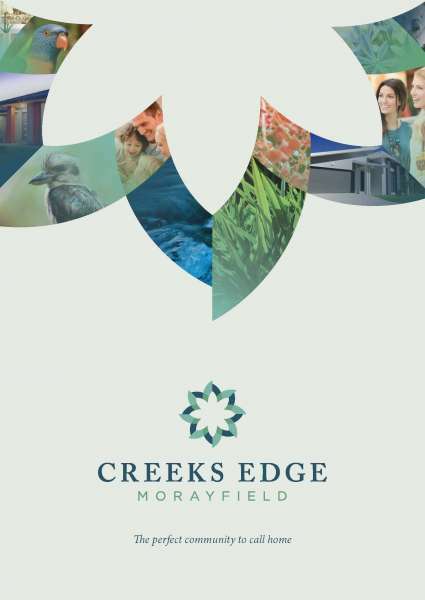 Creeks Edge presents a unique opportunity for people seeking the perfect block of land to build their dream home. 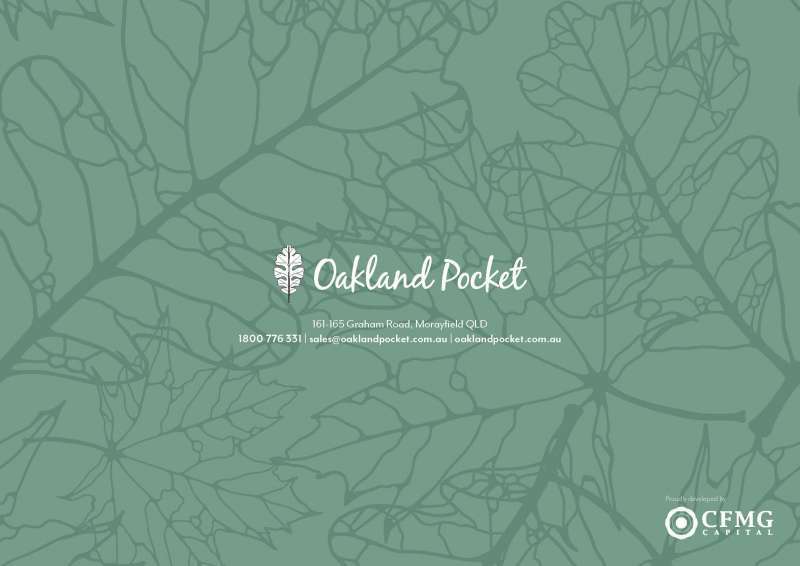 Carefully landscaped streetscapes and quality homes will ensure a striking locale and position your home for the best possible capital growth. 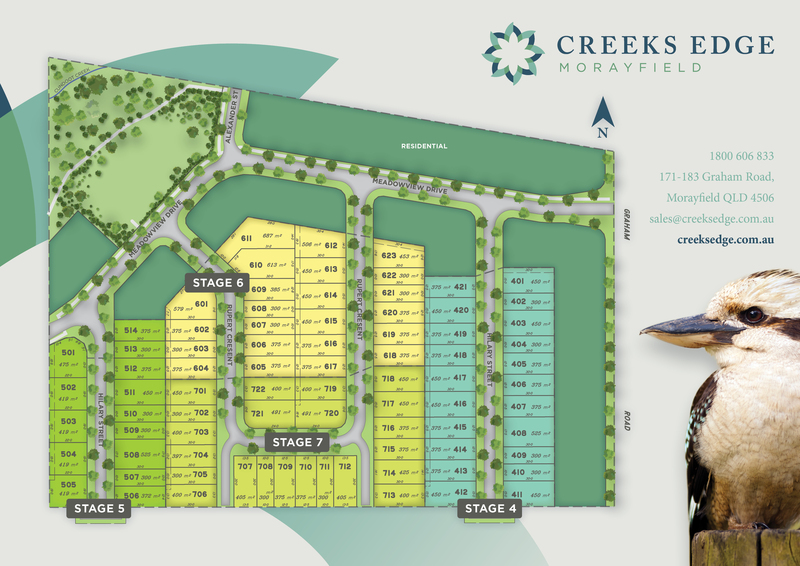 Come and build your new home at Creeks Edge.